When people go on holiday, they tend to look for accommodation that offers the best amenities for their budget. When on vacation, you want to feel relaxed, at ease and have your needs taken care of. 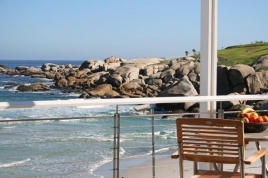 At Camps Bay Self Catering, we offer value for money self-catering villas that are fully furnished without compromising on quality, style and space. When you decide to stay at a villa in Camps Bay, you can expect to find yourself in a spacious holiday home with modern furnishings. 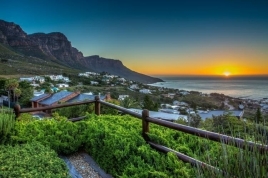 One of the biggest draws of a villa in Camps Bay is the magnificent panoramic views of the Twelve Apostle's Mountain Range and the Atlantic Ocean. Imagine looking out your bedroom window and watching the ships sail by on the horizon. You'll feel so relaxed you'll find it hard to leave Cape Town's very own St Tropez. The spacious villas we offer are fully furnished with everything you need from entertainment systems to fully equipped modern kitchens to outdoor entertainment areas to infinity swimming pools that look as though you'll be swimming right into the ocean. 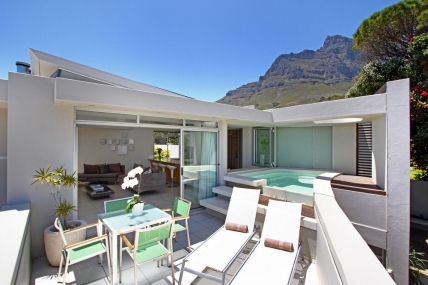 A Camps Bay holiday villa is the perfect venue to host a family holiday or have a gettogether with friends or loved ones. Have a braai outdoors in the sun, let the kids play in the pool, sip on a cocktail in the lounger and simply enjoy life. This is the philosophy of Camps Bay's full time residents, so why not indulge while you're here. Knowing that there are many workaholics out there, you'll usually find fast Wi-Fi or an ADSL connection at your vacation villa to keep on track with what's happening at the office. Nobody wants to be concerned with cleaning their homes at the best of times let alone while on holiday, especially when you happen to be staying in one of our spacious villas. Most of our short-term rental villas offer daily cleaning during the week to ensure your only worry will be how to enjoy yourself while on holiday. 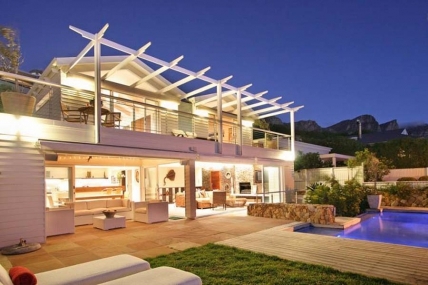 We often find that when a guest contacts us about holiday accommodation at one our Camps Bay villas they think the prices will be hundreds of thousands of Rands a night. 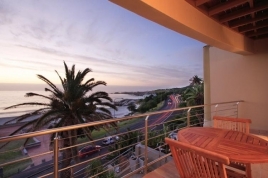 We offer fully furnished self-catering vacation villas in Camps Bay for less than R1500 a night. 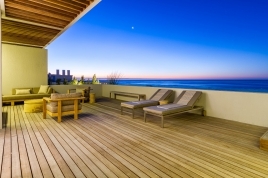 You can expect to stay at our stunning 4-bedroom Ocean Sweep villa for only R2000 a night. If you want to get away for a weekend, bring three friends along and it's only R500 a night for each person to stay at this fully equipped villa with a swimming pool! If your budget is flexible, we offer the fully furnished villa Playa Blanca 6 bedroom, 6-bathroom villa for R12 500 a night. While staying here, you can expect endless views of the Atlantic Ocean from just about every room, including the bathrooms! The glass framed, outdoor Jacuzzi offers the most magnificent views. Relaxing with a cocktail while watching the sunset is the sort of things you can do while on vacation at Playa Blanca. 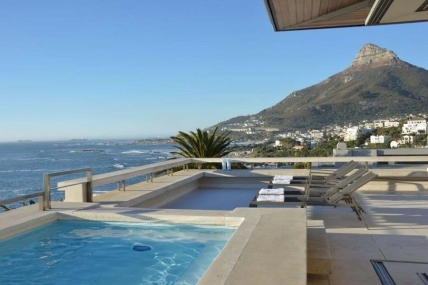 What else could you want while on holiday at self-catering villa in Camps Bay? 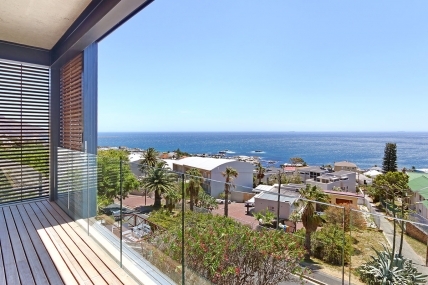 Browse through our list of over 100 properties in the Camps Bay area. You're sure to find something to suit your budget and that's fitted with everything you need for your holiday.